Sometimes, a small thing, it might be nothing unusual, can nonetheless bring people pleasure and even be unforgettable; I hope my work can bring such pleasure to people's lives, as well as comfort and the enjoyment of beauty. Zheng Shuang graduated from the Central Academy of Fine Arts in Beijing in 1962, and was later appointed to teach at the Guangzhou Academy of Fine Arts in Guangdong. 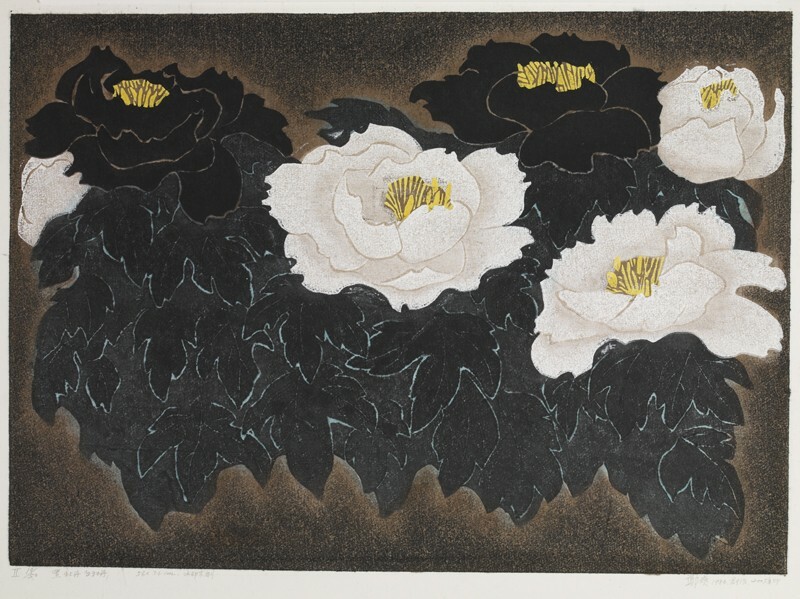 She has lived through many turbulent events in recent Chinese history, particularly on account of her imperial family background; however, her determined attitude towards the expression of beauty has never changed: at a time when most artists worked on ‘theme work’ under political pressure, simply to depict beautiful flowers was a courageous choice. Most of her woodcuts use thick blotting paper and water-soluble colour including gouache, Chinese ink and watercolours.